I don't know what's the wrong info this to fix. Go to Google search console (old version), Crawl menu-> Fetch as Google and put the exact url for Fetch. Then click on the button "Request index"
It takes time to reflect changes on Google! it might because of so many reasons. check when your site is indexed last. 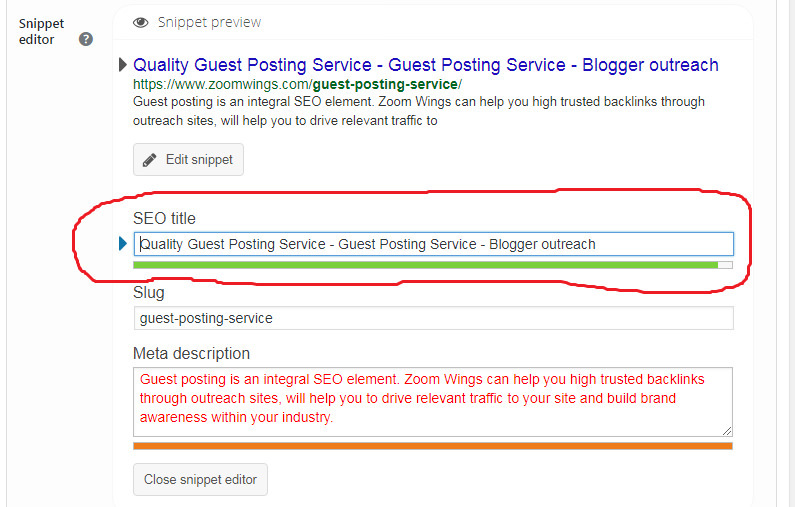 if it is before a long time you can submit your site manually for indexing using GWM tool. "Zoomwings is the leading digital marketing agency based in California..."
Hikin Mike  agrees : WOW, Obviously not...lol! The title you specified isn't relevant to the search query. The title you specified is too short or too long. The title you specified is not an accurate reflection of what your page is really about. There are multiple occurrences of a title or meta description specified in your HTML code. You haven't specified a title. The search engine is ignoring your title and pulling information from elsewhere. Sadly, they might be. Digital Marketing is in such rapid decline. Meta tag optimization has a limit in character. if you have used then its not crawled. and crawler can't access your data then it's shown on the SERPs. I face a similar kind of issue. -> Go to General Setting Section of Yoast SEO Plugin, In home page settings click on "Enabled" in Use Static Front Page Instead. See the Screenshot for understanding. Please make changes according I have said above, & wait 10 days. In my case, After making required changes in the Yoast SEO Plugin, It took 7-8 days to showcase my meta title. First of all update meta tags and index url in google webmaster. Firstly check when your website got index in webmaster, make unique meta title as well as length should be 57 to 60 character . after changes of meta title pin to your website many of search engine as well as fetch url in google webmaster tool......It should be take time to show meta title. There may be crawling time which Google may take and it shows an effect after some time. So it is not an instant effect. Sometimes it can take a week or more for a search engine to update search results. How to choose webpage title tag from google?